"An experience that I can best describe as magical. The energy unleashed when a community comes together, inspired by inclusion in a creative process is astonishing." The River Clyde Pageant is created and performed by local artists and community members from New Glasgow, Charlottetown and across the Island. It is inspired by the history, mythology and contemporary environmental issues associated with PEI rivers and waterways. It celebrates the spirit, strength and imagination of the local community. 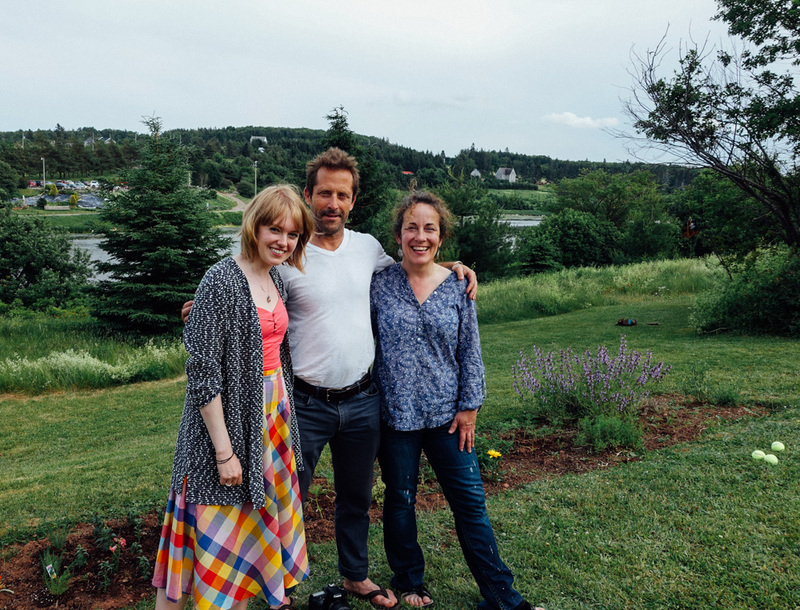 The River Clyde Pageant was conceived by Ker Wells and Megan Stewart, two Island theatre artists who have been involved in similar community-based projects on PEI and elsewhere. Ker led the stilt squad for The Weather Project, a community-created performance focused on climate change, in the town of Yulan, New York. Megan started the Crow Parade in 2011 (with collaborators Jamie Shannon & Harmony Wagner), now a yearly tradition for Charlottetown’s Art in the Open, and is the co-founder of the Island Fringe Festival. Emily Wells, chef and owner of The Mill in New Glasgow, is the local liaison and organizer of the community supper that will concludes each Pageant performance. We are seeking performers and volunteers from communities across the Island to collaborate on the making of the 2019 Pageant. We welcome anyone who wants to be involved – all ages, abilities and levels of experience. You don’t need to be a ‘performer’ or ‘artist’ by any traditional definition, but if you have an interest in building puppets and lanterns, singing in a choir or playing in a parade band, stilt-walking, playing a character, or if you are concerned about the health of Island waterways, then we have a place for you in next summer’s Pageant. Volunteers, set builders and costume makers are also needed. If you have questions or if you’d like to learn more about the Pageant and how you can be involved, send us a message via the contact page. We will send updates to potential participants throughout this year as the project develops. Rivers and waterways have been the subject of much community discussion and debate on PEI in recent years, as rivers that once supported healthy fish and shellfish populations have become clogged with sea lettuce, and “anoxic events” and spontaneous “fish kills” have been dramatic indicators of serious changes in the riverine chemistry and ecosystem. It’s generally accepted that these changes are at least in part the result of decades of increasingly intensive monocrop farming, and associated pesticide, herbicide, and topsoil run-off into rivers and waterways. In recent years, as the scientific and anecdotal evidence has become more overwhelming and public recognition of effects of human activity on the environment has increased, the subject of waterway health has finally emerged into the public arena. The River Clyde Pageant is part of that emergence. The River Clyde Pageant is not a didactic or polemical performance, but rather an inclusive and widely collaborative event that brings people from many different parts of the community together to celebrate our environment and our history; to create something thoughtful, enchanting, and fun. The free community suppers following each evening’s Pageant performance serve as an opportunity for audiences to meet the individuals involved in the Pageant’s creation and share a meal and conversation. These post-show suppers spark further discussion and storytelling related to our country’s waterways, and serve as an opportunity to propose ideas to promote environmental stewardship across generations.